What is the Join Up Horse Training Method? Join up is a method of bonding with a horse through body language and positioning. According to some, this is part of learning to ‘speak horse’. Body position and eye contact are used to send the horse away from the handler, and eventually to invite the horse to approach. If the horse does not approach the handler respectfully, it is again sent away from the handler and asked to move out along the fence surrounding the training area, usually a round pen. Often, a rope is curled at the horse, or a whip or stick is used to direct the horse out to the sides of the pen, and away from the trainer. The trainer uses a more aggressive stance to get the horse to move out, and when the horse shows sign of becoming more submissive, the handler ‘invites’ the horse to join them by softening their body language. If the horse shows signs of resistance, the trainer then sends the horse back out to the outside of the pen. This is done gently, but repeatedly until the horse shows signs of acceptance. It is not intended to wear the horse out so that it is too tired to object. The theory behind join up is that the horse will feel segregated from the herd leader (handler) and then act appropriately to be accepted. Signs of appropriate behavior and successful join up include a lowered head, licking, and chewing while walking quietly to the handler. These are felt to be signs of submission and a step towards obedience and trust of the handler. This method was developed by horse trainers looking for more humane ways to train unhandled horses that did not involve violence. Join up is one small step towards training, most often used by those who practice ‘natural horsemanship’ towards training their horse. 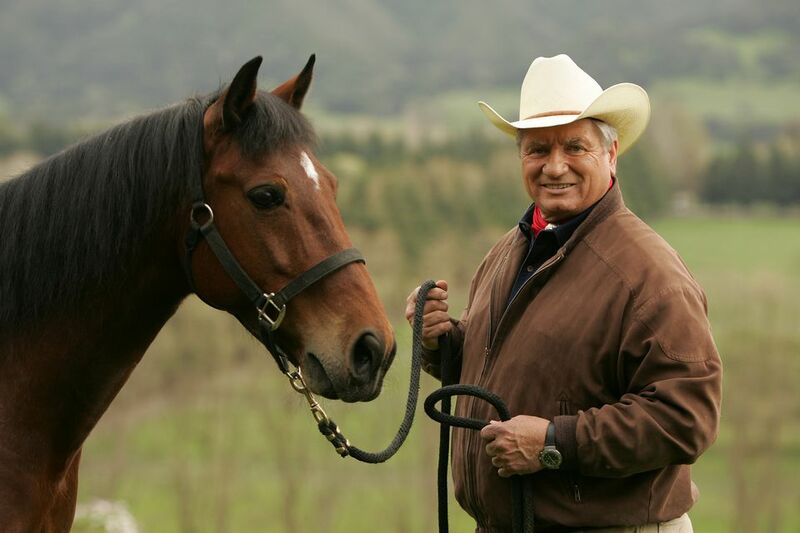 It was popularized by horse trainer Monty Roberts and is most often used by other trainers who market themselves as natural horse trainers. Achieving join up with a horse is not a sign that the horse has bonded with the trainer; that takes much longer. When Should I Use Join Up? Join up is not necessary for a well trained or obedient horse. Many horses that are obedient and well trained would be confused and perhaps even scared if they were expected to join up by being chased around a round pen. If a horse is already trusting, expecting it to join up using this method may actually create the opposite effect. The method appears to be effective on unhandled horses. Many trainers, to demonstrate the method, will use a feral or otherwise unhandled horse. While the immediate effects, the horse following and wanting to stay close to the handler, are positive, it’s important to remember that the effect is tenuous, and easily undone if the handler does anything to damage the horse’s trust. There is some controversy over the method. A demonstration of research findings in 2012 showed that horses had similar reactions to remotely controlled miniature cars ‘chasing’ them around the round pen. This debunked the theory that humans were using ‘horse language’ to control or bond with the horse, as the mechanical cars achieved the same reactions from the horse, or that the method did not use fear to control the horse. Who Is Horse-Training Expert Clinton Anderson? How Old Are the World's Oldest Horses?